This week it’s Wool Week and what better time to be inspired to create something new and a bit different?! A little baby girl in Harrogate has been diagnosed with FOXG1 Syndrome and her family is campaigning to raise awareness of the neurological syndrome. One of the ways they are doing this is through their ‘FOX G1 Knit A Fox‘ campaign. 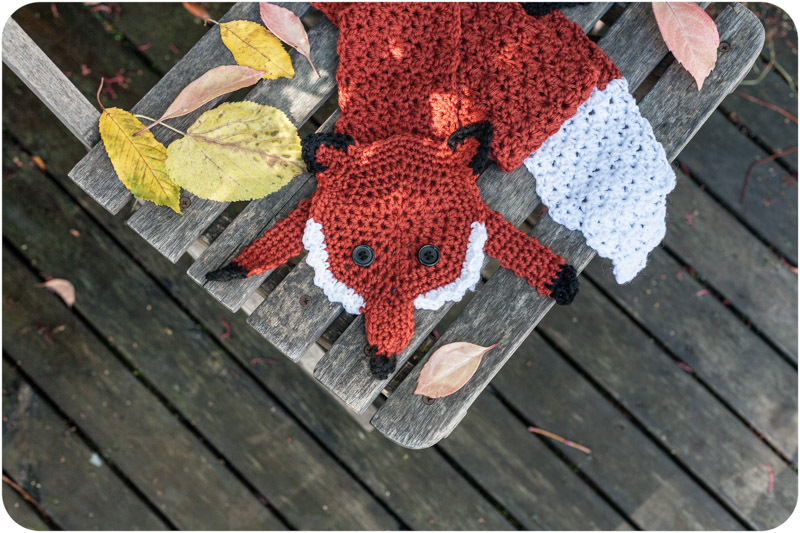 Basically they are asking people to find a pattern of anything ‘foxy’ and either sell the item themselves and donate the money to FOXG1.UK or donate the knitted or crocheted item so that they can be sold at events to raise funds. Being a Harrogate local and about to head off on The Luxury Crochet Retreat I’m pledging to make Kat Goldin’s Fox Stole from her Crochet at Play book. I’ll be sure to update you on the project but with Wool Week upon us I wanted to share this story for anyone looking for a bit of inspiration. Next Georgie Pudding finally gets his ‘gramps’ cardigan!